"Sojourners in a Strange Land will be an essential addition to the literature on the encounter between China and Europe in the seventeenth century and the role played by scientific knowledge in that encounter. It is a subtle, erudite, and highly readable account of this complex episode in seventeenth-century world history." - Nicholas Dew, McGill University"
Though Jesuits assumed a variety of roles as missionaries in late imperial China, their most memorable guise was that of scientific expert, whose maps, clocks, astrolabes, and armillaries reportedly astonished the Chinese. But the icon of the missionary-scientist is itself a complex myth. Masterfully correcting the standard story of China Jesuits as simple conduits for Western science, Florence C. Hsia shows how these missionary-scientists remade themselves as they negotiated the place of the profane sciences in a religious enterprise. 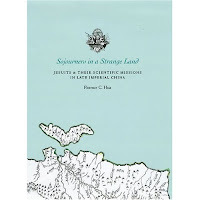 Sojourners in a Strange Land develops a genealogy of Jesuit conceptions of scientific life within the Chinese mission field from the sixteenth through eighteenth centuries. Analyzing the printed record of their endeavors in natural philosophy and mathematics, Hsia identifies three models of the missionary man of science by their genres of writing: mission history, travelogue, and academic collection. Drawing on the history of early modern Europe’s scientific, religious, and print culture, she uses the elaboration and reception of these scientific personae to construct the first collective biography of the Jesuit missionary-scientist’s many incarnations in late imperial China. Florence C. Hsia is assistant professor of history of science at the University of Wisconsin–Madison.